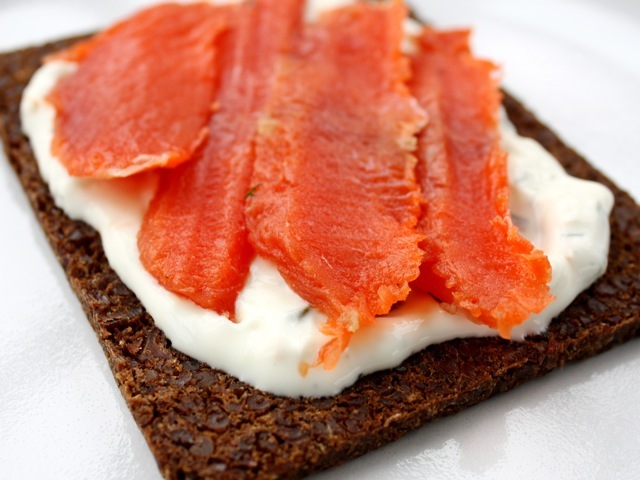 This version of gravlax is based on the one that appears in Tom Douglas' Seattle Kitchen. It's basically little more than salt, sugar, and dill. Oh, and salmon. Put the dill, sugar, salt, paprika (if using), and juniper berries (if using) into a medium bowl and stir to combine. Spread half of the mixture across the bottom of a 9-by-13-inch baking dish and arrange the salmon fillets across the mixture, cut side down. Scatter the rest of the salt mixture across the top of the salmon. Cover with plastic wrap and refrigerate for two days. (If your fish fillets are thin — less than ½ inch thick — check after one day. You are looking for the fish to feel slightly firm.) Wash off the cure and lightly blot the salmon dry on paper towels or dishtowels. Slice thinly on the bias. Serve with rye bread or crackers, whipped cream cheese or crème fraîche, and thin slices of Meyer lemon or red or green onion, if you like. The slices will keep, covered, for several days in the refrigerator.